For more information regarding Application Procedures for Aboriginal Students, visit the Aboriginal Admission Statement page. Gather at the Centre for Aboriginal Student Services, a place designed to meet the range of needs of our Aboriginal community and committed to the success of our 300+ First Nations, Métis and Inuit learners. The Centre for Aboriginal Student Services (CASS) places Indigenous learners at the centre of our community. Through utilizing the Anishinaabe Medicine Wheel Model in accordance with respect to one’s self-in-relation to family, community, nation, postsecondary education and beyond, CASS is cognizant of fostering an environment that meets the range of needs of our diverse community, while also defining Aboriginal student success as living in balance with one’s physical, mental, emotional and spiritual realities. It is our endeavor and commitment to foster positive relationships and educational opportunities that cultivate Aboriginal student well-being at York University. The Centre offers academic and personal counselling, advocacy and referrals to on- and off-campus resources, liaison with First Nation communities and Aboriginal organizations, information about funding and financial assistance opportunities, as well as education and awareness about topics related to Aboriginal peoples and communities. Aboriginal Sharing Circle. This student-driven leadership community offers a space for Indigenous learners to come together to co-create, co-develop, and sustain a learning environment of peer leaders who prioritize reciprocal relationships. In recognizing that everyone has a gift, each individual has a voice necessary to drive appropriate programs and services that support individual and collective growth, capacity building, and Aboriginal student well-being. Meet with members one-on-one and in group settings. Elder-on-Campus Program. Elders and Traditional Counsellors share Indigenous knowledge, teachings and wisdom. Seize the chance to learn about ceremony and Indigenous pedagogies, and enhance your spiritual growth and identity. Sessions include sharing circles and one-on-one counselling. Writing Support. Meet with Writing Instructor Brenda Blondeau, who is Métis from Saskatchewan. You can meet Brenda in the Centre once a week or visit her at the Writing Centre in the Ross Building. Laptop Lending Program. To ensure that CASS members have access to computers and high-speed Internet, our Laptop Lending Program enables students to sign out laptops for brief periods of time. York’s Aboriginal Council — made up of students, faculty and staff from the University and from broader Aboriginal communities and agencies in the GTA — oversees the educational requirements and provision of services that meet the various needs of Aboriginal learners on campus. York’s Aboriginal Council also supports and builds relationships between Aboriginal communities and York University in the area of Aboriginal education. 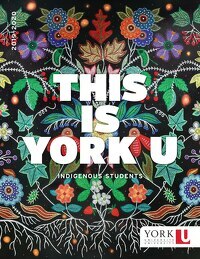 The Council advocates for Aboriginal peoples to facilitate greater access, input and opportunities for higher education to the fullest extent possible at York University, both now and in the future.